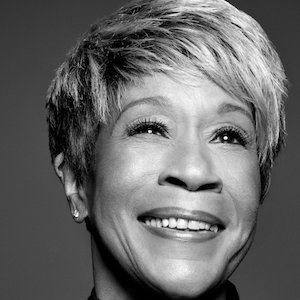 Bettye LaVette is not a song writer. She is a singer in the tradition of great vocalists who have come before her: Ray Charles, Frank Sinatra, Tony Bennett, and Dinah Washington to name just a few. Bettye is an interpreter of the highest order. Her gift is being able to take a song from any genre, whether well known or obscure, and making it completely her own. She will take a writer's lyric and alter it so that the words come out sounding like something that she would say. The Beatles, The Rolling Stones, Dolly Parton, Willie Nelson, and Bruce Springsteen are just a few of the artists who have had their work re-imagined by Bettye. To quote another great vocalist, the late George Jones, "Bettye is truly a 'singer's singer'." The Bettye LaVette Duo features Bettye and her keyboard player, Evan Mercer. These intimate shows allow her voice to be the complete center of attention. They feature Bettye performing songs from throughout her 55 year career, including songs that she used to perform in small Detroit clubs before her 21st Century resurgence began. Many of these songs she does not perform with her full band. Bettye has always said that just a voice and one instrument is all you need to sell a song. Hearing Bettye in this intimate setting, stripped down to just her voice and a piano, is a very intense and moving experience. A great way to lead into the New Year with friends or loved ones, join Hopewell Theater for this special night out!